While I was playing through recent horror titles like The Evil Within, I noticed some interesting similarities with Silent Hill 4 that started to give me a new appreciation for some of this game's stronger aspects. In addition, while doing research for my Silent Hill timeline, I had to go back and play through Silent Hill 4: the Room again. I had only played through the game twice before, so I had to replay it in order to figure out how the timeline would work out. And while I was playing the game, I figured that I might as well go ahead and review it. At the time, it seemed like a novel idea to do a retro review of a Silent Hill game that wasn't Silent Hill 2, but lately, I've been seeing a lot of retro-reviews of The Room popping up other places. I haven't done any retro reviews yet; probably the closest thing has been my review of Demon's Souls. But in light of how unsuccessful the later Silent Hill games have been, the unfortunate cancellation of Silent Hills, and the uncertain future of the franchise (and of Konami as a studio), it's a good time to go back to look at what worked and what didn't about the previous games, and explore the question of whether we even want the franchise to continue. The Room has the reputation of being the "bad" black sheep of the original Silent Hill tetralogy. I always thought that this reputation was unfortunate, and that the game wasn't quite as bad as people made it seem. I actually liked it better than Silent Hill 3 when I first played it, because I had never played the first Silent Hill. After I was able to track down a copy of the first game and play through it, Silent Hill 3 suddenly made a whole lot more sense, and I came to love it almost as much as I loved Silent Hill 2. So while I tend to agree that The Room is the "weakest" of the original Silent Hill games, I never really thought of it as being "bad"; just "less good". The release of future games by third party developers has only made The Room look better in retrospect. The game itself is a bit rough around the edges. It deviates significantly from the controls and mechanics established by the previous games in the franchise, and these changes are very hit-or-miss. This might be due, in part, to the possibility that The Room started out as an independent side project that was developed concurrently with Silent Hill 3, and that was eventually redesigned to work as a Silent Hill game in order to be more commercially viable. Whether or not that's true is still a hot issue of debate among the fanbase, but it's obvious to everybody that The Room plays a lot differently from previous titles. 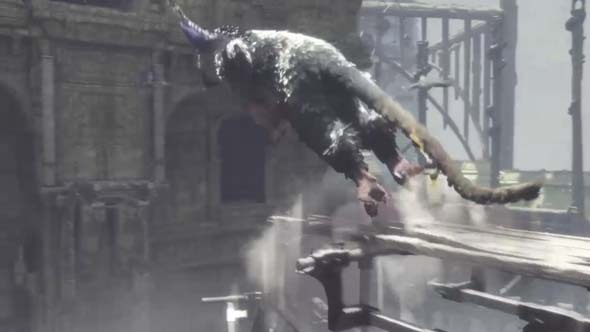 Movement and combat controls are radically changed from previous games in the series. The most immediately obvious deviation is in movement and camera controls. The semi-first-person "tank" controls have been completely abandoned in favor of direct directional inputs, and the camera is significantly more limited than it has been in previous games. You can't snap the camera behind the character by holding the "look" button as you could do in previous games. 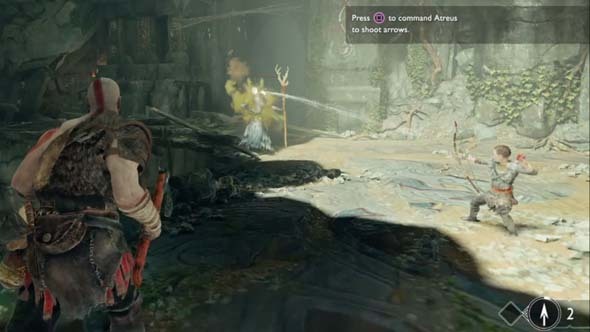 Almost all camera angles are pre-set angles, and the player can usually only toggle between two possible camera angles in any given area. This results in some very clumsy navigation of the environment, and it's very easy for the character to get turned around when camera angles flip. 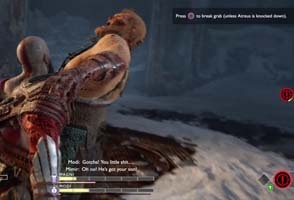 Most of the time, a camera change will go without a hitch, but there are a few frames in the game that consistently result in erratic and unpredictable movement. It happens most often when a camera change occurs concurrently with a change in direction of the character (to navigate around a corner or an obstacle). 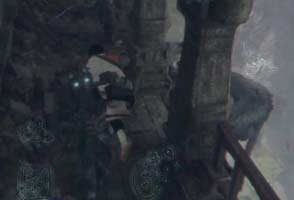 If the player's timing for changing the character's movement direction is not perfectly-timed, then the character ends up turning around, which can result in getting stuck in a loop between the two camera angles. This is the very reason that I prefer the tank controls. They may be a bit cumbersome, but at least they're consistent and always relative to a single frame of reference (the character's position in the world), rather than to an unpredictable camera. The second major change is to combat. 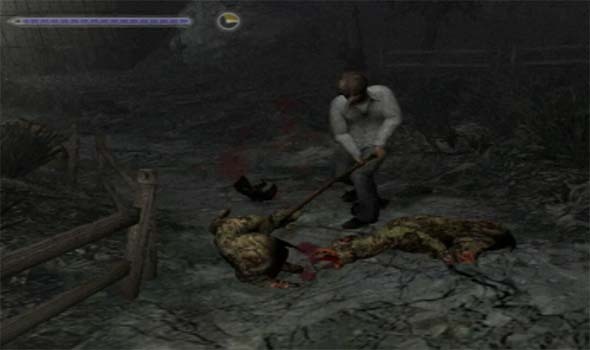 The game was designed to have a greater emphasis on melee combat, complete with new target-locking controls, a variety of breakable melee weapons, very limited ammunition for guns, and an on-screen meter for charging power attacks. The new movement controls do make it a bit easier to maneuver around enemies (especially multiple enemies), but only if you're in an open space and the camera angle doesn't go all wonky on you. The mechanics are serviceable, and I don't think they're as bad as some critics insist. 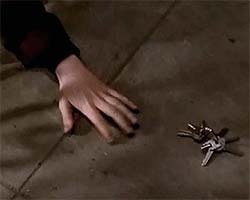 the horror trope of fumbling for keys. Inventory management is where things really start to get bad. 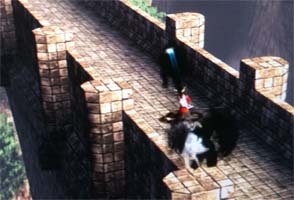 Henry isn't a walking closet like the previous games' protagonists, and he has only a limited number of inventory slots. 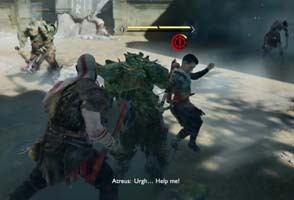 This is probably partly the result of the inventory being accessed in real-time by the directional buttons (which also might have played a role in the changes to the movement control scheme being entirely based up on the analog stick), in a desire to create a sense of frantically searching your pockets for a weapon or item while under pressure. 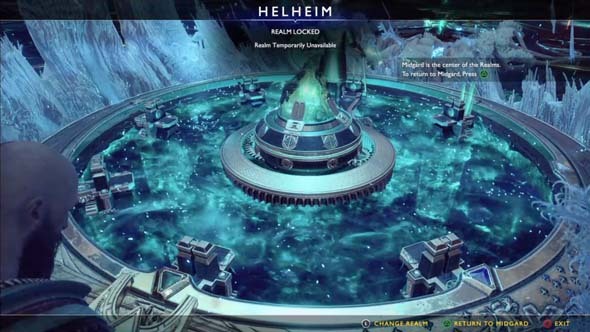 It also adds more relevance to the Room 302 hub (another dramatic departure from previous games) by forcing you to go back to restock on supplies or swap out puzzle items.